Calling all Disney fans! 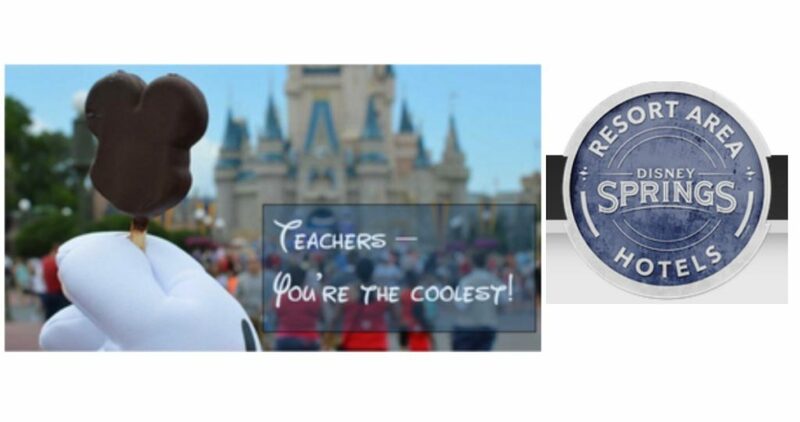 Teachers and School Support Staff can get special room rates starting at $82 per night at the Disney Springs Resort Area Hotels 5/28-9/15. You can stay at one of their hotels plus you can enjoy Extra Magic Hours benefit and 60-day Fastpass+ service with valid Disney Theme Park ticket. Also, through 7/7 Disney is offering their popular Free Disney Dining Plan Promotion. This promotion allows you and room-mates to eat completely free with the purchase of a non-discounted 5-night/6-day Magic Your Way package on select dates which includes a room at a select Disney Resort hotel and a ticket with a Park Hopper Option. Check out my 9 Tips for Saving at Disney too!